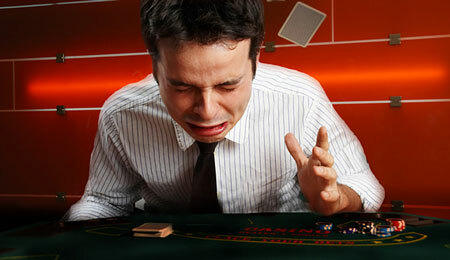 The most important thing in playing poker is to learn from your mistakes! If you were raised in the West, then it is highly likely that you were brought up with a fear of making mistakes. Your parents often chided you for just being a child and the world of academia graded and marked you against other classmates in the form of tests. After academia came the big world of business, and now mistakes cost money. Mistakes were not good. They got you into trouble, made you feel stupid and inferior, and stopped you from getting that all-important raise. But mistakes are not bad. Mistakes are good. The truly magnificent men and women amongst us rose to such heights by making more mistakes that anyone else. The difference between the truly great and everyone else is one of learning. The truly great learned from their mistakes, found out how their mistakes were formed, and created counter measures to make sure history would not repeat itself. If you are going to be a great poker player, you are going to have to follow the lead of the truly magnificent. There are so many variables in the game that mistakes are inevitable. In fact, it is through mistakes that the money is won. The critically important point in poker games is not only recognising the mistake early, but also correcting it as soon as you can. Too many poker players throw away good money after bad because of their inability to correct their decision making process, once they realise they have made a mistake. If you have made a howler and you know you have made a howler, then just fold, plain and simple.